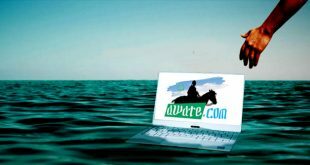 The evidence that has been gathered by the Monitoring Group on Somalia and Eritrea to document the culpability of PFDJ, Eritrea’s ruling regime, is so massive that the only way one can dismiss the pieces of evidence is on the basis that it is too redundant and the point has already been proven beyond reasonable doubt. The only way one can dismiss the evidence is to believe an alternate theory: that there is a massive conspiracy against the Eritrean regime. Further, one has to believe that the co-conspirators include the Monitoring Group, the Sanctions Committee instituted by the Security Council, all 15 member states that make up the United Nations Security Council, every East African nation besides Eritrea (Uganda, Kenya, Somalia, Djibouti, Sudan, South Sudan), weapons exporting nations like Romania; international banks; former fighters of the OLF, former fighters of the ONLF, former fighters of Al-Shabaab (AS), former fighters of Hisb’ul Islam/Somali Islamic Front, former fighters of Hisb’ul Islam/ARS Asmara, former members of Djibouti’s Front Pour le Restauration de la Démocratie (FRUD) and current employees of the Eritrean embassy in Kenya. One has to believe that all these nations and individuals went to the extent of forging documents with Eritrean seals, programming GPS tracking devices to invent Eritrea-Somali land paths taken by ONLF; counterfeiting Eritrean currency found with ONLF; printing forgeries of Eritrean military training manual with its “important dates in Eritrean history”; back-dating contemporaneous acts taken by the ONLF fighters; inventing weapons registration and end user certificates; faking cash receipts; Photoshopping photographs; re-programming mobile telephone logs; patching together fake voice recordings of Te’ame Goitom, and more. To exonerate the PFDJ, one has to believe that NONE of the documents are authentic, that NONE of the witnesses are truthful. This is what the Monitoring Group documents in hundreds of pages. And this is what this Executive Summary is all about. But first, a background to the Monitoring Group and its mandate. Over the years, the warlords who had been formed into a hotchpotch of a dysfunctional “government” in Nairobi hotels were defeated by an Islamist group—Union of Islamic Court (UIC). The UIC was an amalgam of liberal, moderate and militant fighters who managed to bring a semblance of order to Somalia but their promising start was always coupled with a menacing threat posed by the revolutionary zeal and intolerant form of Islam and some the UIC’s leadership—like Aweys—advocated a militant ideology that was at odds with the historical practice of Islam in Somalia. In 2006, claiming that the UIC has become a national security threat on its southeastern borders and citing an “invitation” from the Transitional Federal Government of Somalia (the warlords) the Ethiopian government, blitzed into Somalia and cleared Mogadishu and Western Somalia of UIC forces who were pushed to Southern Somalia. The UIC leadership took refuge in Eritrea. Since then, Ethiopian forces in Somalia have been replaced by African Union forces; the UIC split into a pro Djibouti and pro Asmara group; the Djibouti group—which includes Somalia’s current president—is the current government of Somalia and is supported by the African Union, the EU, the United States and the United Nations. The UIC which was supported by Asmara has pretty much disintegrated: some were sources for the report of the Monitoring Group. Its most well known member—Hassen Dahir Aweys—has become a de-facto member of the Al Shabab movement which has become a potent terror force. And the government of Somalia, now made up of the UIC, is as weak as the government of warlords it replaced. In December 2009, as a consequence of the Eritrean regime’s spoiler role in Somalia as well as its failure to acknowledge and deal with its problems with Djibouti, the United Nations passed resolution 1907 which placed an arms embargo on Eritrea, as well as an asset freeze and movement restriction on the political and military leaders of its regime. The “Monitoring Group on Somalia” became the “Monitoring Group on Somalia and Eritrea”; its mandate was expanded to include Eritrea. On March 10, 2010, the Monitoring Group on Somalia and Eritrea provided its first public report which documented the Eritrean regime’s involvement in violating the arms embargo on Somalia. The Group qualified its report with a statement that perhaps as a consequence of the impending sanctions, the Eritrean regime had slowed down its destructive activities in Somalia. This is a far cry from the current (July 2011) report of the Monitoring Group. What the Monitoring Group has documented is that the Eritrean regime is a mafia outfit which has, far from complying with UN Resolution 1907 (which demanded that it cease its support for armed groups in Somalia and Ethiopia as well as acknowledge and work towards solving its border conflict with Djibouti), has actually gone from bad to worse: it has expanded its outlaw network to Uganda, Kenya, Sudan and Egypt. Using a network of illicit fund raising activities, which include human and arms smuggling, contraband trade, illegal transfers, the regime continues to train and arm Djibouti opposition group FRUD; fails to deal with the issue of Djibouti prisoners of war; is directly funding Al-Shabab; is training, arming and managing terrorist operations for some of Ethiopia’s armed groups. In Eritrea, there is no “government” in its true sense: there is only Isaias Afwerki and whoever he rotates in and out to whatever position. And he is accountable to nobody. The most sensational piece in the report of the Monitoring Group is the terrorist plot that had been hatched by the Eritrean regime to bomb, among other targets, the African Union building in Addis Abeba in early 2011. Given the state of open hostilities between the two neighboring countries, and the hyperbole that the two governments engaged in during the 1998-2000 border war, it is natural for neutral observers to be skeptical of this allegation. 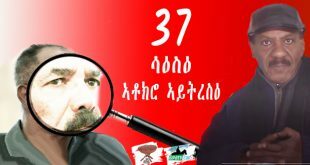 Moreover, because the Eritrean regime had established its “anti-terrorism creds” in the 1990s when it went to war with Sudan’s Bin Laden-hosting-ruling-party (NIF), even experts like Ted Dagne have been duped into saying “If there is one country where the fighting of extremists and terrorists was a priority when it mattered, it was Eritrea.” But this testimony is as spurious as saying that Stalin was anti-totalitarianism because he fought Hitler. Isaias Afwerki fought NIF not out of some sense of propriety about terrorism but because he feared it posed a direct threat to his survival. Their targets were the African Union headquarters, the London Café, near Bole Airport, the Axum Hotel, and the Filwaha area. 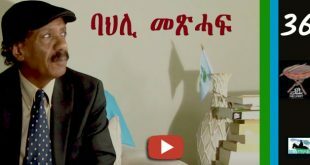 The plan fell apart when (a) one of the teams which was led by “Doctor” Mohammed Nur was intercepted by Ethiopian authorities and (b) the Fekadu team could not pull off a critical component of the mission—renting a car in Addis. A panicked Omar Idriss Mohammed drove to Metema, Gondar (bordering Sudan) so he could use Sudanese cellphones to call his Eritrean contacts, Brigadier General Te’ame Goitom Kinfu (also known as Wedi Meqelle) and Colonel Gemachew Ayana (also known as “Kercho”) who would travel to Tessenei, Eritrea (bordering Sudan) so they too could use Sudanese cellphones. The government of Romania confirmed that the sniper weapon, the Dragnunov which was captured by Ethiopia from the “Doctor” Mohammed Nur team was sold to Eritrea. Could this weapon have been captured by Ethiopian authorities during the 1998-2000 Eritrean-Ethiopian border war and then by the OLF subsequently? No, because the weapon was sold by Romania to Eritrea in 2004. The UN also has telephone logs and voice recordings of conversations between the senior team leader, OLF’s Omar Idriss and Eritrea’s Brigadier General Te’ame Goitom and Colonel Gemachew. It has collateral material—training manual, list of contacts in Eritrea, detailed names of trainers, locations—that, cumulatively, tell a narrative so persuasive that the entire IGAD nations (including Sudan) found persuasive. Brigadier General Te’ame Goitom Kinfu (also known as Wedi Meqelle) Chief of Eritrean External Intelligence Operations In The Horn. Direct point of contact with the Ogaden National Liberation Front (ONLF). He also supervised the failed terrorist operation in Addis and a recording of his voice, in a conversation with one of the team leaders of the operation, is now with the United Nations. Colonel Fitsum Yishak (also known as “Lenin”) Colonel Fitsum acts as Te’ame’s deputy for external operations and supervises training for regional armed opposition groups. He is also directly involved in training of highland Ethiopian (i.e. Tigrayan and Amhara) armed opposition groups. Fitsum also reports to General Teklai Kifle “Manjus”, commander of the Western military zone and border units, and reportedly works closely with him in cross-border smuggling activities. Colonel Tewelde Habte Negash: Also known by the aliases “Musa”,“Amanuel Kidane” and “Wedi Kidane” Colonel Negash works closely with Te’ame and is responsible for training of and support to Somali armed opposition groups, and has been involved in training for some Ethiopian opposition groups. He is reportedly an explosives expert. He has been deported from Kenya on more than one occasion. Also ONLF point of contact. Colonel Gemachew Ayana (also known as “Kercho”) Colonel Gemachew is responsible for training of and support to OLF. He is the one who had 27 phone conversation with Fekadu Abdisu Gusu one of the two team leaders of the failed terrorist operation in Addis Abeba. Colonel “Hatsaynet” Based at Kiloma in eastern Eritrea, Colonel “Hatsaynet” is the officer-in-charge of military intelligence in that zone and has been involved in the training of and support to Afar and Somali opposition groups. Mohammed Jebhaa, a military commander of FRUD, a Djibouti armed opposition group, fingered “Hatsaynet” as his main point of contact. Tesfalidet Teklai Selassie Chief of Staff in the Office of the President, he controls access to President Isaias Afwerki and is responsible for communicating the President’s instructions to Government and party officials, including the security services. He occasionally undertakes special missions abroad on behalf of the President; He travels frequently to China and Eastern Europe from Dubai. Admiral Humed Karekare Commander of the Eritrean naval forces, and directly involved in support to the Front pour la restauration de l’unité et la démocratie (FRUD) in Djibouti. Karekare has been photographed with Mohamed Kadd’ami, and Hassan Muqbil, leaders of FRUD. Andeberhan Berhe and Issa Ahmed Issa (Eritrean embassy in Sudan) Andeberhan Berhe, used to regularly send money from Khartoum to Somali, Oromo and other armed opposition group members by hawala transfers and that Issa Ahmed Issa, who until recently had served as Ambassador of Eritrea in Khartoum for many years, has been involved in laundering money through Eastern Europe for the purchase of military equipment. Hanibal Kahsay Menghistie Eritrean intelligence officer based in Kenya and Sudan. According to law enforcement agents and Eritrean and Kenyan sources close to Hanibal, he was involved as part of a lucrative human trafficking network run by the Embassy of the State of Eritrea in Kenya and was an associate of Negash. Between June 2009 and early 2011, Hanibal travelled back and forth between Eritrea and Uganda, passing through South Sudan at least once.15 Acting on specific information provided by the Monitoring Group, the Ugandan authorities arrested him in Kampala in early 2011. At the time of his arrest he was in possession of several SIM cards, one of which held a text message relating to the preparation of a passport and the transfer of US$8,000, and contained numbers of the Embassy of the State of Eritrea in the Sudan in its phonebook. Pier Gianni Prosperini, a former official in the government of Lombardy in Italy, served as Eritreaí’s honorary consul in Milan until his incarceration by the Italian authorities for fraud and corruption. According to a former Eritrean military official who has been introduced to Mr. Prosperini, he was also involved in the purchase of maritime vessels for Eritrea. He has also been named in a case involving in the smuggling of alleged dual-use equipment to the Islamic Republic of Iran, and is under investigation for a similar case involving Eritrea. Asmerom Meconnen, legal counsel for Officine Piccinií’s (Perugia, Italy) an Eritrean businessman who works closely with PFDJ and who is a business partner of Colonel Weldu Gheresus Barya. The company has been visited personally by President Isaias Afwerki. According to financial information obtained by the Monitoring Group, this company exports to over 100 different countries, including over 40 million euros each of exports to Eritrea and Equatorial Guinea over the last 13 years. The Monitoring Group has been reliably informed by a law enforcement source that one of Officine Piccinií’s shareholders is under investigation for money-laundering by the Swiss police. Abdullahi Matraji (Lebanon) a wealthy businessman, serves as honorary consul for Eritrea in Lebanon. 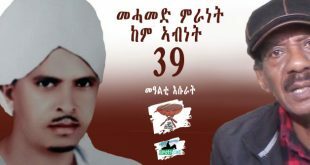 According to a former Eritrean official based in the Sudan, Matraji’s appointment was facilitated by his father, Ghassan Matraji, who worked closely with members of EPLF in laundering counterfeit dollars in the Sudan for “Brigade 72”.Ghassan Matraji was sentenced in Beirut in 1997 for forging United States dollars and attempting to circulate those dollars in Lebanon. He was also apparently charged by a Beirut court in 1995 for trading in arms and military equipment. Shakil Kashmirwala (Pakistan) Eritrea’s honorary consul in Pakistan. A prominent businessman in the aviation industry. In 2006, he hosted a high-level delegation of Eritrean military officials to Pakistan, where he claimed to have visited munitions factories or “ordnance establishments” with them. Martha Solomon (Chicago, Illinois) A Chicago resident, who claims to have business interests in Dubai and real estate interests in the United States. Ghirmai Okbe, (Milan, Italy) Close associate of President Isaias Afwerki who has served as a financial and intelligence agent in Italy for EPLF/PFDJ for approximately 30 years. Mr. Okbe, who runs a small travel agency in Milan, is reportedly assisted in his work by a serving Eritrean intelligence officer known as Haile Zerom. 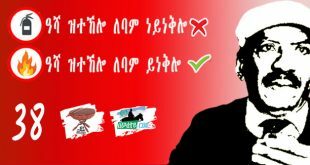 Tzehaye Tukui (Milian) Owns the Restaurant Africa, a PFDJ-affiliated business that contributes directly to party coffers. Gemal Abdelalem (Sweden) An official at the embassy of Eritrea in Stockholm who is responsible for enforcing payment of diaspora taxes. Ghebrehiwet Ghebremedhin (Sweden) A leading PFDJ activist in Sweden who, under the guidance of the PFDJ diaspora affairs office in Asmara, organizes party events, including demonstrations against the United Nations imposed sanctions regime, and coordinates with representatives of Somali and Ethiopian opposition groups in Sweden. Abeba Teklai (Sweden) Reportedly facilitates PFDJ financial transfers, travels between Sweden, Eritrea and Italy. Michael Haile (Sweden) Another individual who allegedly handles finances for the Government of Eritrea, travels regularly between Sweden and Asia. 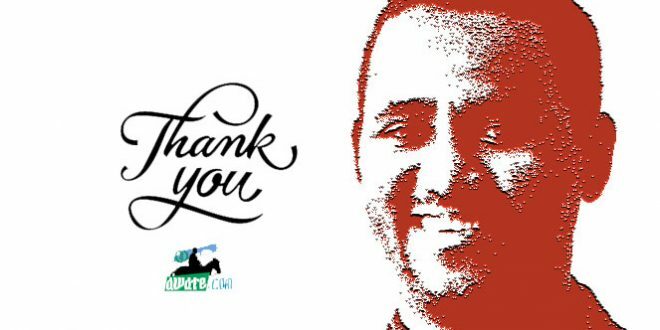 Sirak Bahlbi, An Eritrean and United Kingdom dual citizen and close associate of Mr. Gebrehiwot, who is one of the coordinators of the United Kingdom chapter of the Youth PFDJ. Sophia Tesfamariam Prominent PFDJ activist in the United States. 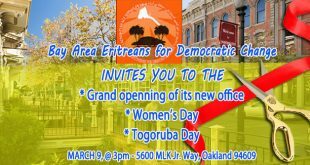 Organizes PFDJ programmes in the United States from an Eritrean community centre in Washington, D.C., regularly participates in international PFDJ events in Europe, and is a prolific online author. The Report of the Monitoring Group is exceptionally good—but not perfect (what is?) A report written by a Committee has to reflect the consensus view of all the drafters and it stands to reason that some issues were left out—either because they do not deal with the mandate of the Monitoring Group or they reflect the biases of the sources that the Group relied on. We are mentioning them here in the interest of strengthening the Monitoring Group’s 2012 report. 1. The Role of The 1998-2000 Eritrea-Ethiopia Border War: In trying to come to terms with the destructive role of the PFDJ, the Monitoring Group has, in all its reports, said words to the effect that Eritrea’s behavior can be seen only within the context of its unresolved border issue with Ethiopia. The inference is that if only the border between Eritrea and Ethiopia was to be permanently demarcated in accordance with the ruling of the Eritrea Ethiopia Boundary Commission (EEBC), the Eritrean regime might behave differently. This kind of reasoning—which is also reflected in the report provided by the International Crisis Group last year—is flawed. It reflects the mindset of those who think that the EPLF/PFDJ was, at some mystical past before 1998, a law-abiding organization which had checks-and-balances and institutional practices that would never allow its current behavior. It is understandable why those who were part-and-parcel of pre-1998 PFDJ would like to believe that, since they want to disassociate themselves from its behavior, but the facts are that the PFDJ has always operated as a criminal enterprise unaccountable to nobody. If the Eritrea-Ethiopia border war was successfully resolved or even the war was never ignited to begin with, it would not have changed the behavior of the PFDJ. Perhaps it would have been supporting a different group; perhaps its policy would have been perfectly aligned with that of the Ethiopian government, but it would still have been engaged in contraband, in arms smuggling, in human trafficking, and in arming militant groups. Although it is not within its mandate, the Monitoring Group will not have a precise understanding of the nature of the PFDJ unless it makes an effort to understand its history and how it treats its own citizens. Otherwise, the Monitoring Group is likely to be duped by sources with self-serving interests. 2. The Qatar Mediated Djibouti-Eritrea Agreement: Resolution 1907 was passed because of the Eritrean regime’s role in Somalia and its failure to acknowledge and deal with its border dispute with Djibouti. After dragging its feet for two years, in June 2010, the Eritrean regime signed a Qatar-sponsored mediation agreement with Djibouti, which was welcomed by the UN. The Monitoring Group had a responsibility to present the UN Security Council a comprehensive report on the status of the mediation agreement. Specifically, is the Eritrean regime working in good will to resolve its issue with Djibouti or did it just use the mediation agreement as a ruse to lift the pressure from the United Nations? As part of its investigation, the Monitoring Group reports that the Djibouti government is still frustrated at the lack of progress on the issue of its 19 soldiers who are missing in action and presumed to be prisoners of war. It then says that when asked about this, the Eritrean regime says that the matter is now with Qatar. The Monitoring Group also spoke to a “senior Qatari official” who said “his Government’s initiative was confined to ‘legal and cartographic’ dimensions of the dispute.” On the basis of this exchange, the Monitoring Group concluded that “it would be premature to conclude that Eritrea’s silence constitutes obstruction of Security Council resolution 1862 (2009), and recommends that the Qatari peace initiative be permitted additional time and scope to address all aspects of the dispute. The Monitor Group made no judgment on whether it was being deceived by the Eritrean regime and on whether the claims of the “senior Qatari official” are based on facts. Would the following Q&A between Egypt’s Al-Ahram newspaper and President Isaias Afwerki which appeared in Al-Ahram’s June 23-29, 2011 edition answer the question on whether the Eritrean regime gives much weight to the mediation agreement it signed? Al-Ahram: What are the results of the Qatari mediation between Djibouti and Eritrea? On the issue of the status of the Eritrean regime’s compliance with resolution 1907 on the matter of Djibouti, the Monitoring Group did not consider all the facts and ended up giving the Eritrean regime the benefit of the doubt, something that we fear will only embolden the regime to be even more reckless. The Monitoring Group correctly identifies the “2% income tax” as a substantial source of revenue for the Eritrean regime. 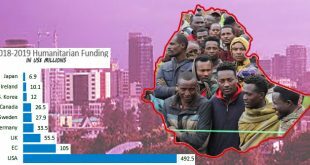 It describes in detail how funds are bundled and transferred to the accounts of Eritrea’s ruling regime where, given the absence of institutionalization, may end up anywhere, including at the Eritrean embassy in Kenya, to be funneled to Al Shabab. But as to the question of what the “2% income tax is”—income tax? Land tax? Consular services?—or who is required to pay—is it voluntary? Is it mandatory?—or who collects the money—embassy staff? Community members?—the Monitoring Group leaves the matter un-unanswered. (a) The form provides the legal basis for collection of fees: it is Proclamation No 67/1995. 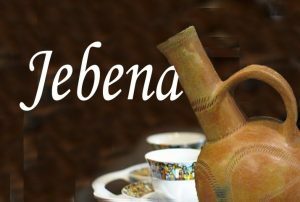 The official title of the proclamation is: “Income Tax On Eritreans Working Abroad.” It was published in the “Eritrean Gazette” (retroactively) on February 10, 1995. (b) The income required to be declared is “net income”, i.e., income after payment of taxes imposed by “host country.” Income is declared as “any income”–includes social welfare, unemployment benefits checks, disability checks, ANY INCOME. In mid-July 2011, in a unanimous vote, the United Nations Security Council renewed the mandate of the Monitoring Group for another year. The Group will now have an expanded list of experts so it can document further its work in progress. 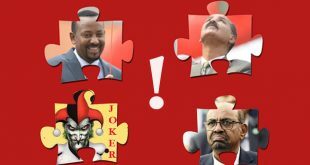 No doubt, this will include naming more PFDJ facilitators in the Diaspora, following the money and connecting the dots from the simple Eritrean “donor” to its destination in Nairobi or Somalia. No doubt, this will result in Eritrean businessmen in Diaspora—innocent or guilty—to be subjected to closer scrutiny by foreign governments. No doubt, this will result in lengthening the suspect list of individuals whose assets will be frozen or movement restricted. No doubt, the Eritrean regime will not desist from its path of self-destruction and more evidence will be gathered against it. There is a bitter-sweet feeling for Eritreans. 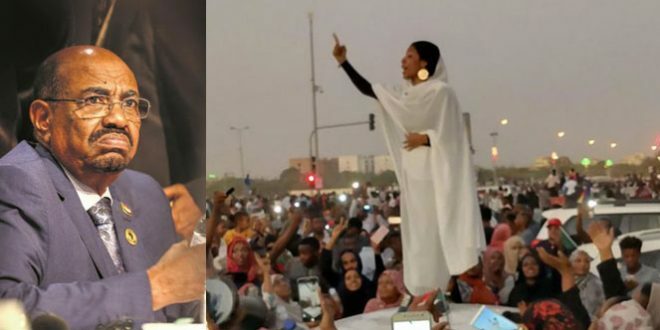 Eritreans can find solace in the fact that the regime is totally exposed for what it is: rogue regime, founded on the principles of a crime syndicate. The world knows what Eritreans knew all along (and what this website has been trying to educate its readers—specially foreigners—about the nature of the Eritrean regime.) But the entire exercise is an attempt to punish the Eritrean government for what it does to its neighbors, and there is no consideration at all for how it treats its citizens. 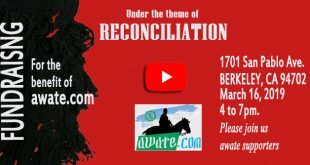 Previous Why Is The Eritrean Regime Still Surviving?